However, the dates are subject to change depending on the weather. •A41 (Woodcote Hollow): 24-28 July 2017 Closed 24hrs a day in both directions between Pave Lane and the B4379. This will affect the five mile stretch between the A41 junction with the A518 and the A41 junction with the A5. Diversions in place via the A5, Redhill Way, Donnington Wood Way and the A518. •Wrockwardine Wood Way / Wombridge Road junction: 31 July – 04 August. Work between 7:30-17:30. •Kemberton Road (Westbound): 07-11 August. Closed 24hrs a day. 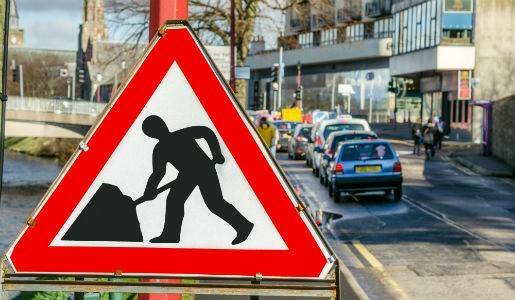 •Horsehay Roundabout (Bridge Road to be closed during working hours): 14 – 25 August. Work between 7.30-17:30. •Castlefields Way: 07 – 25 August. Closed 24hrs a day. •Holyhead Road (Haygate Road to Roman Road (B5061): 29 August – 15 September. Closed 24hrs a day. The work will take place on a number of key commuter roads and other locations and is weather dependent – meaning dates may be subject to change. Telford & Wrekin Council has decided to carry out the majority of the programme during the summer holidays to reduce the impact upon road users as much as possible. Funding for the work has come from the council’s highways capital fund as part of its Pride In Our Community programme to make the Borough a better place to live, work and visit. Road closures will be used at most sites as this allows for works to be completed quickly, safely and efficiently so that the period of disruption is minimised. Access for residents and businesses will be maintained throughout the works. Where closures are in force, diversions are in place. Drivers are advised to follow the signed diversion routes for their safety and for the sake of local residents. Councillor Shaun Davies, Telford & Wrekin Council’s Leader & Cabinet Member for Neighbourhood Services & Pride Programme, said: “These road repairs are being carried out as part of our ongoing work to make the Borough an even safer and better maintained place – this is positive news for residents. “However, I would like to apologise in advance for any inconvenience caused by this extensive programme of works. We have drawn up a schedule to keep disruption to a minimum as far as possible and I would like to thank everyone affected in advance for their patience and co-operation.